The Newseum, a D.C. museum dedicated to increasing "public understanding of the importance of a free press," according to its website, is selling apparel advertising one of President Trump's favorite sayings: "Fake news." The details: The apparel, first reported by Poynter, includes "Make America Great Again" hats and a t-shirts that read, "You are very fake news." Journalists around the country have voiced outrage, saying the slogan is contradictory to encouraging a free press. But director of public relations for the museum, Sonya Gavankar, told Poynter it encourages another pillar of the First Amendment, free speech. The big picture: This apparel is not new. Business Insiders' Joe Perticone pointed out on Twitter that MAGA hats and fake news shirts have been sold at the Newseum since last year. But after heightened tensions between the administration and the press this week, the Newseum's store received increased backlash. Museum officials defended the apparel: Gavankar told Poynter, "We recognize why you’re asking the question. 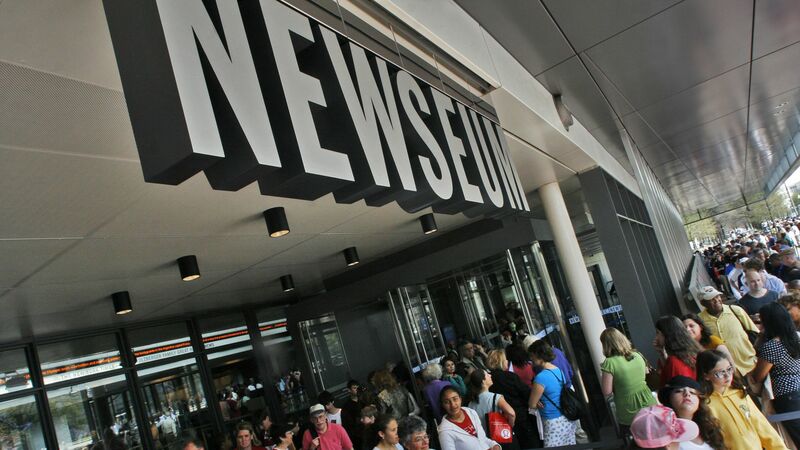 As a nonpartisan organization, people with differing viewpoints feel comfortable visiting the Newseum, and one of our greatest strengths is that we’re champions not only of a free press but also of free speech. ... The MAGA hat and the FBI hat are two of our best-selling items." President and CEO of the museum told the New York Times: "We sold a lot of Obama merchandise while he was president and during his campaigns and it was the same sort of merchandise: buttons, T-shirts, posters, etc. ... Fake news is a word that is in our popular culture now, and this is intended to be a 'satirical rebuke.'" Some conservatives and Trump supporters have come out in support of the Newseum's argument that it is upholding free speech. Many journalists, however, have expressed opposition saying the museum is giving the president's words a more supportive platform.